“Everytime I sit down to play my Yamaha drums I feel at ease and inspired the drums speak clear and true. That’s what I need"
Paul Derricott is a Sydney based drummer composer and educator who has a passion for improvised thematic music. Paul completed his studies Sydney Conservatorium (B Mus Jazz Performance 2005) and spent valuable time with musical personalities such as Andrew Dickerson, Gordon Rytmiester, Dave Goodman, Andrew Gander, David Jones, Steve Brien. Paul also credits friend and pianist Sean Wayland as having a major impact on his playing and composing. Paul released his first album "Big Sea" on Jazzgroove records in 2010. 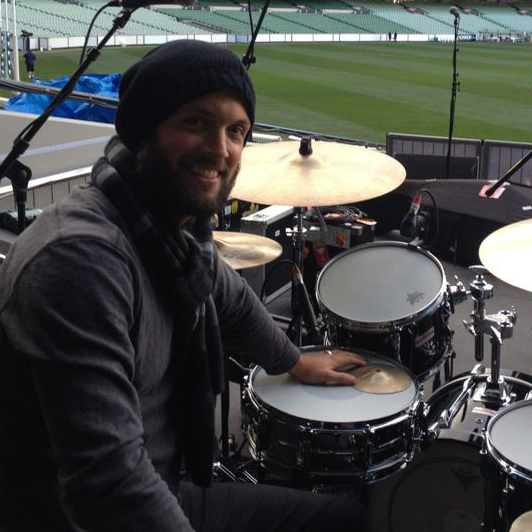 He has worked with Lanie Lane since 2008 earning an ARIA gold record in 2013 for the album “To the Horses”. In 2013 Paul toured Brazil with Mat McHugh and recorded "Live at Random Hall”, he also Toured Australia and New Zealand with The Dilworths. Pauls own project Felucca has released its first album on Jazzgroove Records “Periot”.